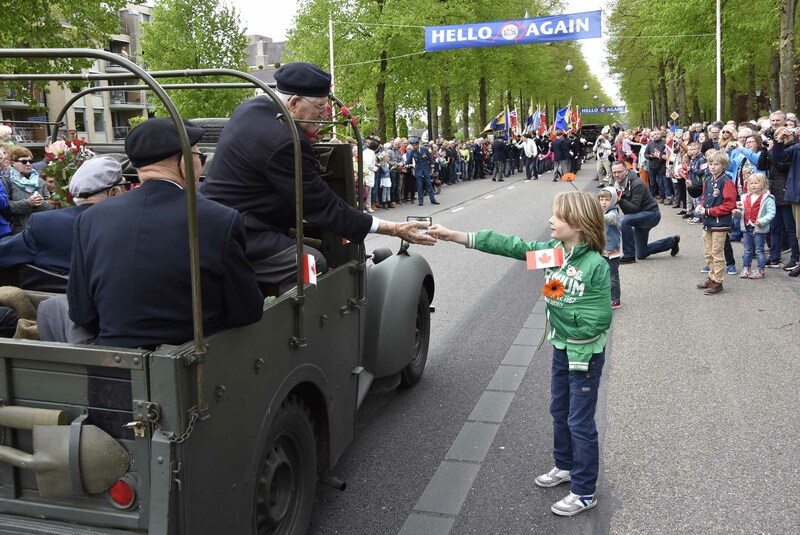 The Royal Canadian Legion Branch 005 ”The Liberation of The Netherlands” acts as contact- and information point for the Jubilee Year 2015: “70 years of Liberation of the Netherlands”. It is particularly important this year for our allied liberators. In the Netherlands, the commemorations at the War Cemeteries of Groesbeek and Holten, the large events like the liberation parade on May 5 in Wageningen and the final liberation event in Apeldoorn on May 9 will have many attention. But there are also many other organizations in the Netherlands involved in the events in this “Crown Year”. It will indeed be the last time that the liberation of the Netherlands with our liberators will be celebrated in this format. RCL005 will of course continue the thoughts stated in her mission: “We will never forget”. In the (Google) calendar of RCL005 are the activities in which RCL005 itself takes part and/or is present with a Colour Party. There are of course more activities regarding the liberation of the Netherlands. If you have questions or are looking for something specific? Please contact us. That is possible through our contact page on our website. You are able to ask all questions regarding the Jubilee Year 2015. We will send you a reply as soon as possible. Please add the subject line ”Jubilee 2015″ to your questions. Maintain, enhance and where required act as a source of information for organizations in the Netherlands, dealing with the guidance of Canadian veterans, monuments to commemorate deceased Canadians and / or be part of the performance of commemorations. In the past period of time, mainly for the Jubilee Year of course, many contact moments were established with the Canadian Embassy in the Netherlands, Veterans Affairs Canada, the Dutch Embassy in Canada, the Liberation committee in Toronto, the writer of Legion Magazine, numerous liberation comités and local mayors in the Netherlands, such as in Groningen, Apeldoorn, Holten, Groesbeek, Bergen op Zoom, Doetinchem, etc. but also smaller communities such as Etten, Posterenk, Diever, Haskerhorne, Markelo, Lochem and Netterden. Also there has been accomplished a co-operation with organisations like the Royal Dutch Air Force, Liberation Route Europe and Touroperators. This all with regards to the future: How will remembrance and commemorations of freedom develop and remains in the future. For one thing is for sure: Our liberators don’t live eternally. RCL005 has already addressed conversations with several stakeholders, but with pleasure invites organizations to participate to exchange ideas and make plans. To be noted: RCL005, the Liberation of the Netherlands, will always stand behind its principles. All this took a great effort in preparations, but also a claim on financial resources. As a volunteer organisation RCL005 lacks the necessary funds, but thanks to (regular) sponsors, fundraising, the integration of TYCAF, the subsidy of vfonds and the work of many volunteers, there has been achieved a balanced budget for 2015. On behalf of the Board of RCL005: Thank you! We are confident the resources will maintain available for future activities. 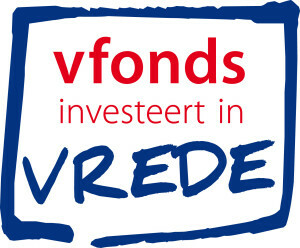 Our activities for the Jubilee Year 2015 are sponsored by the vfonds with funds from the National Postcode Lottery and BankGiro Lottery. Your participation in this lottery is therefore recommended.